Yes, Macaroni Grill. The US chain, known as “a casually elegant Italian restaurant serving handcrafted pastas, entrees, and a diverse wine list.” Rarely seen as gourmet, or even really, really good. Generally, we think of it as “upscale mall food”, not fast food, but not a dining experience, either. We went last evening because there was a “buy one get one” voucher in our Entertainer book. Our first choice had been the Outback Steakhouse at the Festival City Mall but they were closed for renovations. We were there to shop at the ARTE Craft market – Artisans of the Emirates – being held at that mall. There’s a particular vendor there that has the *most* wonderful handcrafted soaps, Firuza Wragg of Desert Rose Handmade Soaps. Check out her shampoo bars – exquisite! 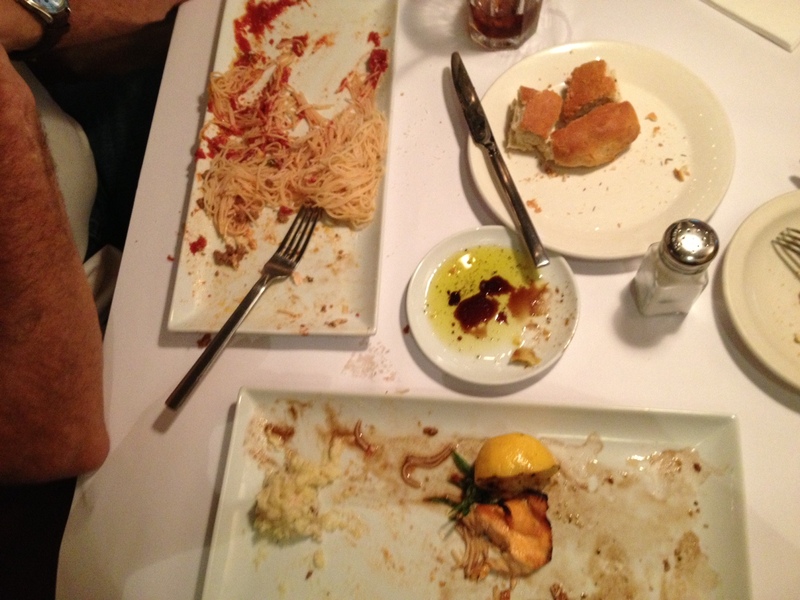 Yes, we ate every single bit of it. Even the bread was delicious. It was good enough that when the Front of House Manager Mohammed came to ask how we’d enjoyed it, we told him to please give our compliments to the chef – everything was cooked well, served attractively and we loved it all. 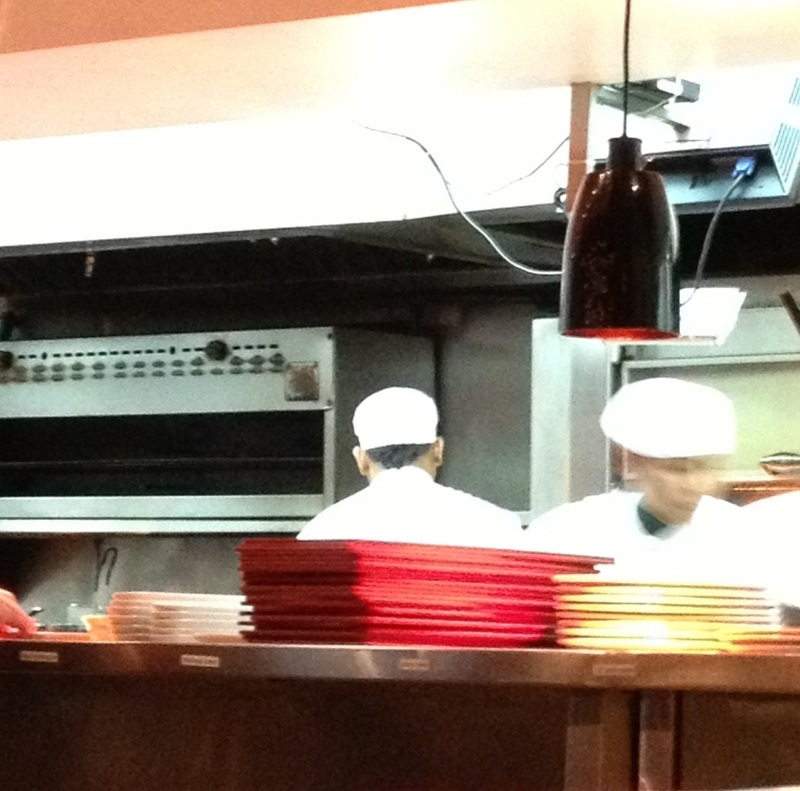 He walked back to the kitchen, hollered “Chefs, please!” and when he had their attention, told them what we’d said….. There were smiling faces and waves all around, then they went right back to work…. 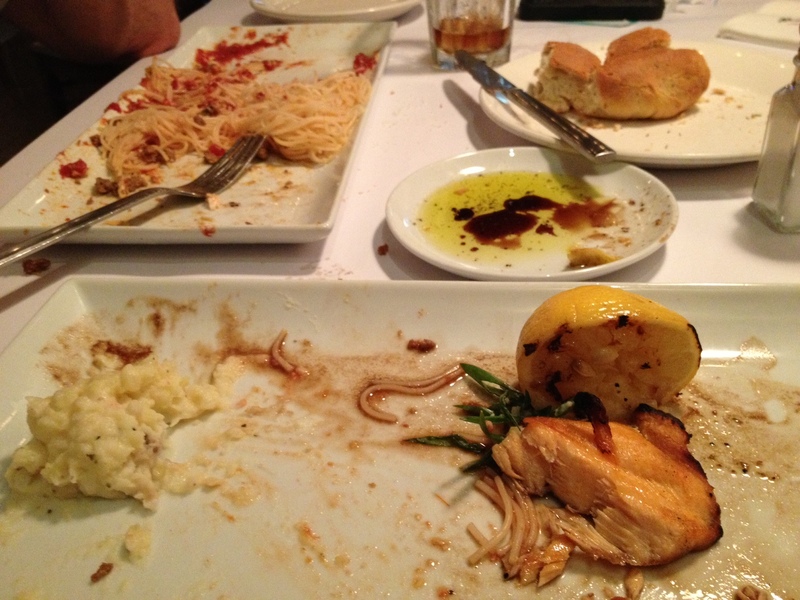 The restaurant wasn’t crowded, and our server was quite good – overall it was a much better experience than we were expecting, and we gave it a “We’ll be back” rating on the Trueblood scale of foods. 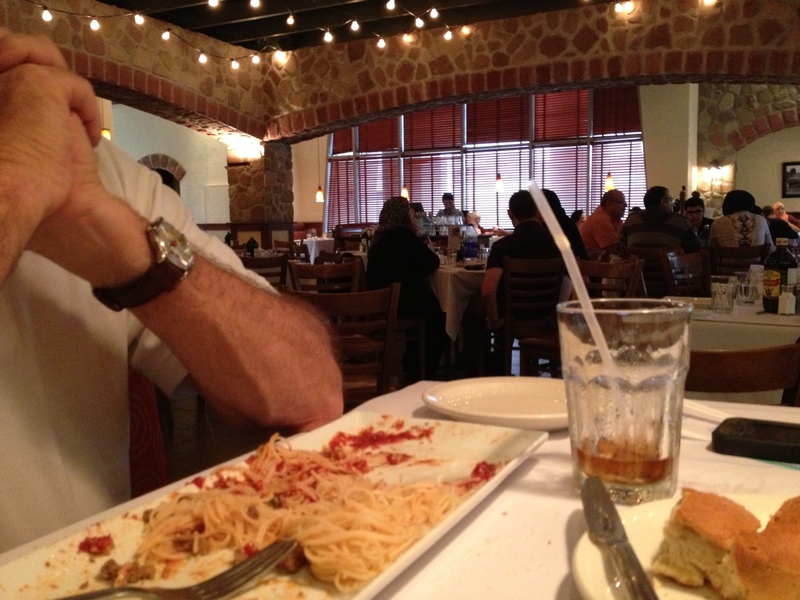 Dear Debbie, as a PR for Romano’s Macaroni Grill I am pleased with your experience. I would like to have a chat with you and would like to thank you from our team. Fancy a meal there all over again, this time it’s on us. Always glad to provide my personal opinion on my experiences – and don’t expect anything in return. But your gracious offer is appreciated!